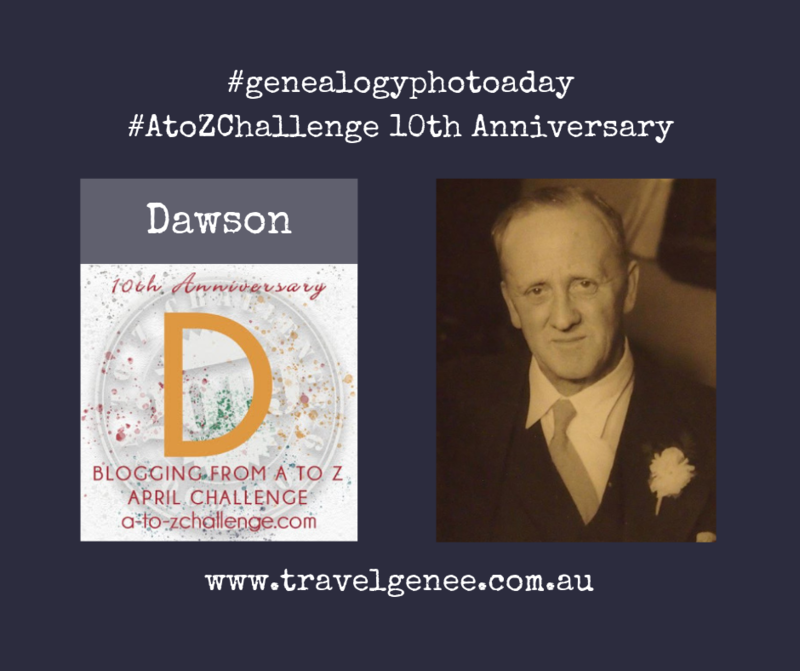 I have featured my grandfather, Charles Collis Dawson, a number of times for the #genealogyphotoaday so here is a combination of some Instagram posts. The photo above is from 1949 at my Aunty Joan’s wedding. 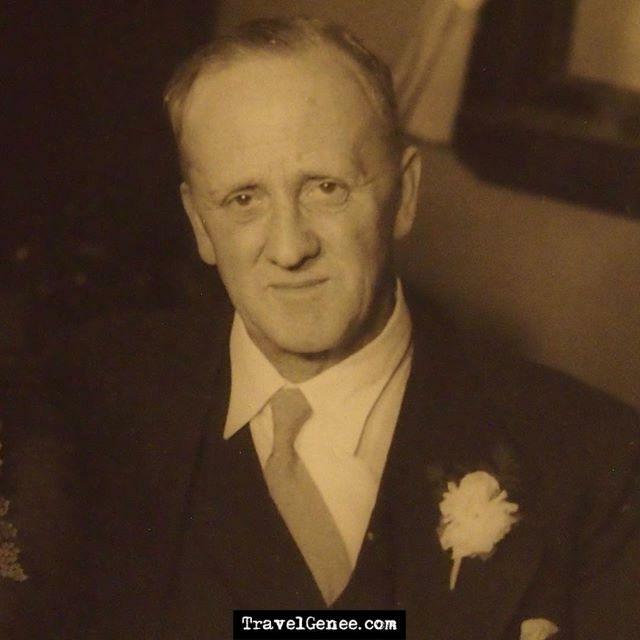 My maternal grandfather, Charles Collis Dawson died on 3 September 1952, before I was born. Having not met him I have no first hand experience of his personality or life stories. I had a quick look at my family tree to see what I could write about for the grandfather #GenealogyPhotoADay prompt on Instagram. I discovered that I have never purchased his death certificate. Looks like I need to review significant people in my tree and check for vital records. He was born in England on 15 February 1885. Oh no! I cannot find the birth certificate either so I better organise a copy of this from GRO in the UK. I remember finding this index card in one of the drawers at Archives New Zealand. Containing a few words it gave me the clue to the possible first time my grandfather came to New Zealand. This was 7 December 1909 on the vessel Pakanui. The cards were so packed so tightly into the draw it was hard to take a photo. He moved back to the UK from New Zealand. Dawson joined the army not long after the start of WW1 in the 3rd Battalion, The Royal Sussex Regiment, No.65875. He spent time serving in England and Sierra Leone in West Africa. During this time he got married married to Grace Shepherd on 1 July 1916 and had two children by the end of the war. Part of the agreement when he married my Nana, was they would migrate to New Zealand. I remember Nana talking about being under the kitchen table with two small children while there was bombing going on over head. Researching military records reveals some finds you will not expect. For example, I found a letter from my grandfather to the New Zealand Government requesting pay owed to him. ← Previous Previous post: AtoZChallenge Catholic Station – What is it? How interesting to find a letter requesting to be paid. I’m curious about the “agreement” to immigrate to New Zealand. Did her family WANT them to move so far away? That seems opposite of what many parents feel. Apparently, the New Zealand army paid a different rate to the UK army so he qualified for the difference – from what I can understand. I think that it was more that my grandfather was an adventurer and had travelled already so only wanted to marry someone that wanted to be adventurous also. I am always surprised that there is more research to be done like ordering certificates on close relatives. I think because we get the information early on in our search and from close relatives or other sources. Was your Nana being bombed overhead in WW1?